Besides being the most convenient mode of transportation, cars also hold many sentimental memories for their owners. Some cars have even been handed down to family members for decades, much like family heirlooms. Unfortunately, most people do not have the time, the money and the patience to maintain a car once it has begun to reach the end of its lifespan. 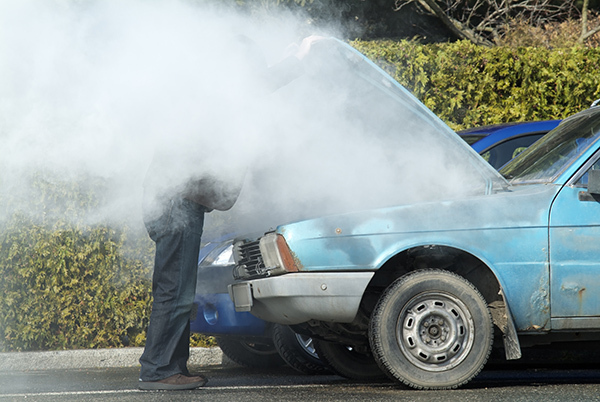 Although routine maintenance and care can go a long way, few cars last forever. Unless a car owner is completely invested in keeping a car – no matter what – it becomes a hassle to keep such a car. So how do you know that it’s time to get a new car? The team at CarRegistrationAdvisors.org has compiled a short list of guidelines that may hint that a car is getting too old. If a car is consistently unreliable or dangerous to drive, it’s definitely time to buy a new car. Car owners who find they are frequently taking alternative transportation because the cars are nonfunctional need to consider their options. It should be also noted that CarRegistrationAdvisors.org strongly recommends getting rid of cars that are unpredictable. Issues like brake or engine failures while driving pose a serious safety hazard for the driver, the passengers and everyone else on the road. This is especially the case if it seems like a particular car has a new issue every time the owner uses it. Sometimes, cars need repairs. That doesn’t mean that the car is worthless. However, if the car owner finds that he or she is spending more and more each month on car repairs, that isn’t a good sign. Occasional repairs are to be expected, especially if the car is a bit older. But once repair bills start to feel overwhelming, the owner is likely spending much more on the car than it is worth. The team at CarRegistrationAdvisors.org notes that if the cost of repairs on a vehicle exceeds that of what the vehicle is worth, the car is considered “totaled.” Contrary to popular belief, the car doesn’t need to look like a pretzel to be totaled. In fact, it’s possible for a totaled car to still be able to drive. Unless the owner is invested in saving the car, he or she is better off financially buying a new car. All car owners have different needs, and these needs change over time. The car that someone had in high school probably will not be suitable in the following decade or two, after that person has gotten married and had children. Or, maybe the car isn’t suitable for long distances anymore, and the owner takes long commutes to and from work. In any case, once a car no longer fits the owner’s lifestyle, it’s probably time to trade it in for a new car. The experts at CarRegistrationAdvisors.org would advise car owners to evaluate the usefulness of a car that is not inconvenient to their lives. If the car is not sufficient for any reason, it may be best to buy a new car.